Warning: Mild Spoilers ahead. Because the story is rather well-known, I will be a little free with facts here. If you don’t know how Dillinger’s story ends, you might not want to read this yet. Mann went to extraordinary lengths to use the real locations for the scenes they re-enact. The Biograph Theater. The Ohio prison that they restored, for Dillinger’s infamous breakout. And the shootout at the Little Bohemia lodge, filmed at the original lodges still pockmarked with bullet holes from the original battle. This does give the film an unmistakable aura of authenticity, coupled with the excellent performances by Depp, Bale, Marion Cotillard as Billie Frechette, and even Billy Crudup as J. Edgar Hoover. The script plays around a little with order of events and minor details, but is mostly true to form. But what it chooses to concentrate on seemed to interest Michael Mann more than myself. Purvis and Hoover- hints at a great story. Which was odd. I’m a sucker for a gritty crime film and authenticity can substitute for substance for me; maybe that’s why I like Thief (full review) so much. But consider the emotional power in that film’s diner scene, or when James Caan is berating the woman at the adoption agency. Reflect on Heat, with Pacino’s bombastic explosions constrasted with his quiet face-off with DeNiro in … a diner. Depp and Purvis meet early in the film, when Dillinger is locked up in an Ohio jail, but we get little interplay except that we have two Mann heroes- driven men, whose work defines them, clashing once again. What little emotional power the film has centers around Billie Frechette, a coatcheck girl that Dillinger fancies, and takes along with him on his 18 month crime spree. They meet; he wins her over with the line, “I like baseball, fast cars, nice clothes, whiskey, and you. What else you need to know?” and next thing you know they’re at a Miami horse race. Bonnie and Clyde (full review) it’s not. Later, when she is captured by the FBI- who have taken to brutal tactics at the urging of Director Hoover, who needs a high profile bust to get the Congressional funding he wants- we are relived at Purvis’s moral authority as he intervenes during her interrogation. 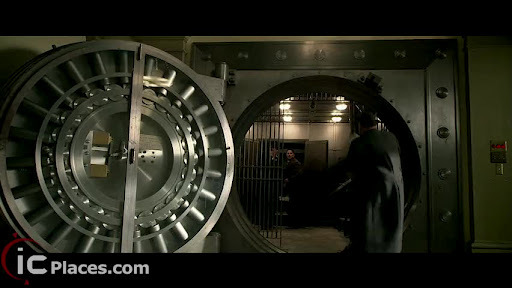 However, he’s let off the hook for the civilian slaughter at the botched Little Bohemia raid, which like the famous bank heist shootout in Heat, gives the end of the second act a much-needed shot of adrenaline. 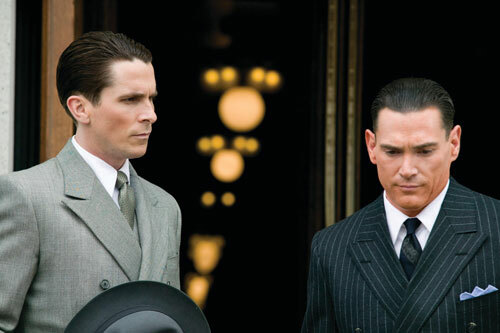 The script tries to make Dillinger and Frechette’s relationship into a tragic romnance, but here it veers from its Bible of authenticity to give us an emotional handhold, and we can feel its fakery. Dillinger was not a romantic, and his desire to live fast and not think about the future precluded love stories; he was with a prostitute shortly after Billie’s capture. The poetic license doesn’t end there; Baby Face Nelson, properly portrayed as the psychotic loose cannon he was, met a much less dramatic end in reality. The FBI led by Purvis gets a surprisingly improved portrayal, even though Mann takes pains to compare Hoover’s demands for results leading to the torture of wounded suspects and their molls. Illegal wiretapping is constantly on view, in the tangled switchboard operator dens. 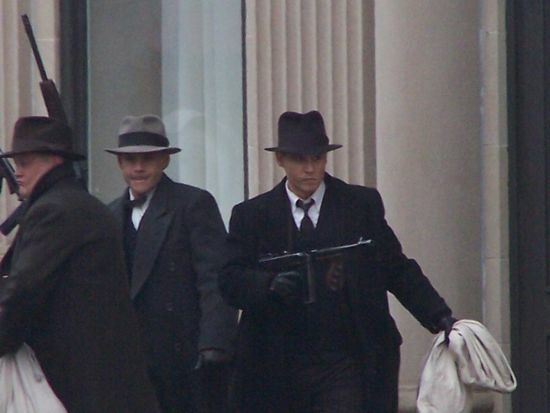 Perhaps the title Public Enemies doesn’t just refer to Dillinger, but also to Hoover? Mann is quite subtle with this, but teases us with a much more interesting subtext. But in the end, we’re denied. Purvis’s story, the South Carolina lawman who brought in Texas police with gunfight cred to put the final nail in the coffin of Depression-Era flashy bankrobbers, is just as interesting as Dillinger’s, but it gets short shrift. Purvis’s tragic end is given a mere epitaph before the credits, but I wanted to see more of his internal battle with Hoover. 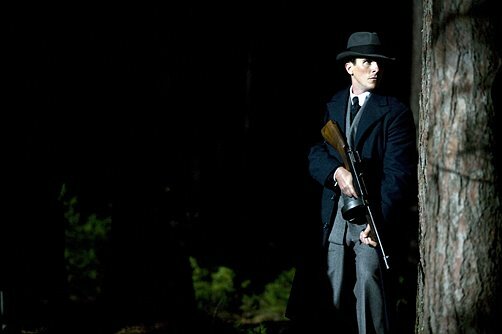 Bale plays the film with laconic moral authority, from the opening scene that shows him as a hunter of men, as he guns down Pretty Boy Floyd with a sporting rifle. 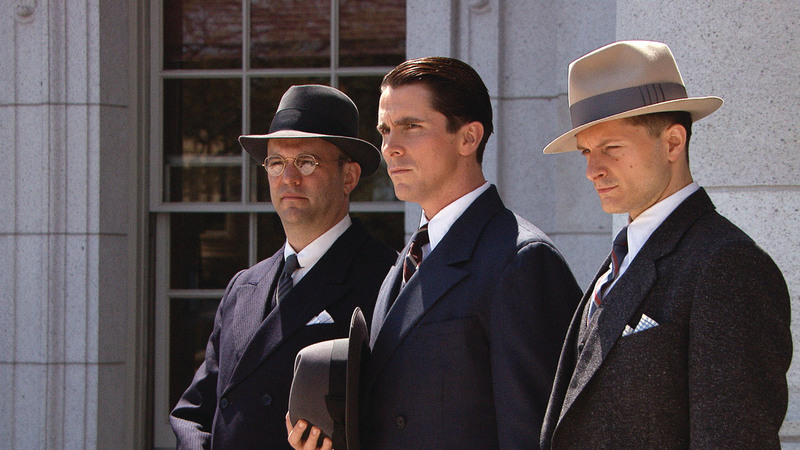 Depp’s performance captures the essence of Dillinger with that sly grin, cold eyes, and snappy movements. He was called “the Jackrabbit” for his agile movements in robberies, and Depp leaps over counters with ease. You can’t fault the performances in this movie. In fact, lookout for character actor Stephen Lang to make a big splash in Cameron’s Avatar; he steals a lot of scenes as Agent Winstead here. He’s best known for playing Sherman in Gettysburg but damn if he doesn’t remind you of late-career Sterling Hayden and a bit of Lee Marvin. Perhaps the story lies on the cutting room floor. 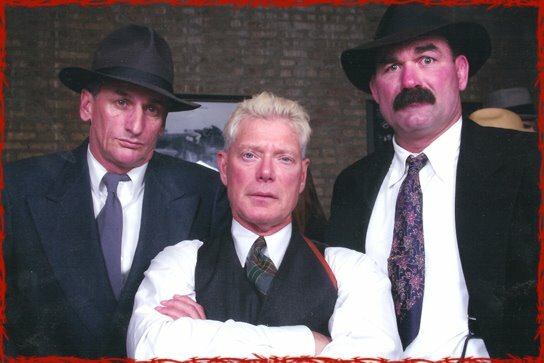 We also get a small subplot about the Chicago mob, led by Frank Nitti, who’ve taken to bookmaking and illegal gambling and given up the wild street shootouts now that Prohibition is long gone. To them, Dillinger and his ilk are heat they don’t need, and they make it clear. Sure, it’s an interesting footnote to history, but it fits better in a movie like The Godfather than here. In the end, we get a solid drama but one that leaves much of the mystery intact. Dillinger spent ten years in prison after pleading guilty to a grocery store robbery after he couldn’t find a job in ’29; the long sentence soured him against society. That’s left completely unexplored. But I must admit that for two and a half hours, Mann had me riveted with his stunning cinematography, sharply directed action scenes that never confuse, and excellent performances from his cast (I’d also like to thank Mr. Mann for NOT using desaturated colors and going digital. Hollywood- people still saw in full color in oldtimey days). Perhaps I’ll glean more from future viewings. Perhaps. I’d like to thank my pal Ian Fisher for details on Dillinger, and for recommending the Lawrence Tierney film from 1945, which I plan on watching soon. That, the John Milius film with Warren Oates as Dillinger, and the movie he & the Lady in Red saw at the Biograph, Manhattan Melodrama, are the next 3 films in my Netflix Queue. Watch for a comparison of the three coming soon.